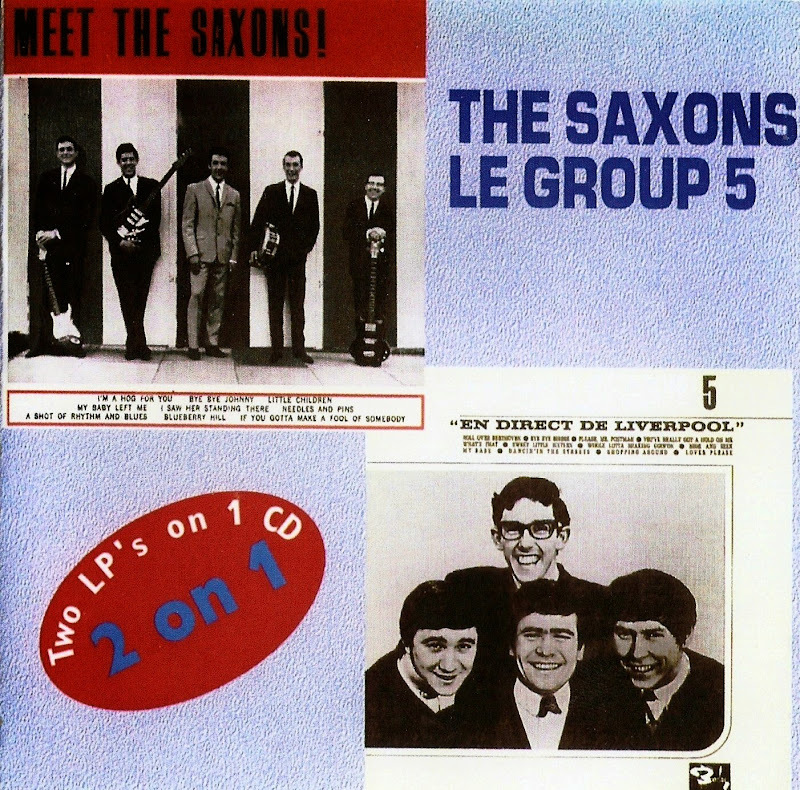 The Saxons is one of the over 500 groups that were beat in Britain between 1963 and 1966. They started, like many others, in a band of "skiffle" in the late 50s. The founders were, Keith Jacks, Mick Platt, Dennis McBride, Allan Taylor and Tommy Worth. Keith, Mick, and Dennis left the group to move to interpret rock, and were replaced by Gerry Cook, who composed many songs for the group, Dave Bruce and Colin Mac. The group was well known, at least in its zone, district of South Essex, West Ham area. His most memorable performance was at the Victoria Palace Theatre, on the occasion of a show Guilds Songwriters', a guild of composers. Only they recorded an album with Decca, "Meet The Saxons", and is now highly coveted by collectors.